The Trademark Clearinghouse (TMCH) is an advanced intellectual rights protection mechanism and the integral part of ICANN’s new gTLD program. New gTLDs’ operators will hold the responsibility for introducing certain rights protection mechanisms, backed by the Trademark Clearinghouse. TMCH allows brand owners to submit data related to their trademark into one consolidated database, before and during the launch of new gTLDs. Verification of data is the basic and most important condition to be fulfilled before the trademark holder is able to register its corresponding domain name during the Sunrise Period, that is the pre-registration period of multiple TLDs. Trademark holders will be offered the option to be notified in case someone registers a domain name that matches their record in the Trademark Clearinghouse. Pre-registration of new gTLDs is offered by Web Solutions free of charge. Click here to proceed. For more information, contact our Support Team at support@web-solutions.eu. Brands are protected by the TMCH in two ways: with a Sunrise Service and a Trademark Claims Service. Web Solutions further offer a Managed TMCH Submissions service. Click here to read more. Sunrise Period refers to an initial period of between 30-60 days prior to offering domain names to the general public. Trademark holders can benefit from the Sunrise by safeguarding the domain name that matches their trademark. A Sunrise Period is compulsory for all new gTLDs and the minimum requirement to participate in it is having a validated trademark entry in the Trademark Clearinghouse. If your trademark is not registered with the TMCH, you can not participate in any Sunrise processes. Trademark owners can register their IP rights directly with the TMCH or through an accredited agent. Web Solutions is an accredited agent with the Trademark Clearinghouse offering a Managed Submissions service ensuring a smooth and streamlined process of collecting and submitting all the necessary information to the TMCH. Following verification, the IP rights are stored in a centralised repository and can be used to register the corresponding domain name during the Sunrise period of any new gTLD, before general registrations begin. With one single registration working across as many as 1000 gTLD launches, this process will greatly reduce the associated administrative costs and time consumption for trademark holders. For Sunrise periods, Web Solutions’ Managed Submissions service will further secure the inclusion and managment of the associated SMD files and labels. Further, within the service, trademarks will be validated by the TMCH and the trademark owner will be kept up to date about all upcoming events thereafter. A potential domain name applicant gets a warning notice when attempting to register a domain name that matches a trademark term listed in the TMCH. If, after the receipt and acceptance of the notice, the domain name applicant does continue to register the domain name, the trademark owner with a corresponding mark will receive notification of the domain name registration, so they can decide whether or not to take any appropriate action. If you opt to utilise Web Solutions’ Managed Submissions service, we will keep you personally updated about all upcoming events thereafter. any other marks that constitute Intellectual Property (IP) rights according to the registry’s policies and that meet the Trademark Clearinghouse’ eligibility requirements. In case other types of marks are accepted at a registry’s request, additional guidelines related to these marks will be published on the Website. A registered trademark is a nationally or regionally (i.e., multi-nationally) registered mark on the principal or primary register within the mark’s jurisdiction. This means that the given trademark must have national effect and must be registered at the time it is submitted for verification. Registered marks that were the subject of successful cancellation, invalidation, opposition, or rectification proceedings. Other marks that comprise intellectual property. Any registered trademark that does not contain any letters, numerals, words or DNS-valid characters. In the case of marks protected by statute or treaty, the appropriate statute or treaty must be in effect at the time the mark is submitted to the Trademark Clearinghouse for inclusion. These marks may include but are not limited to designations of origin and geographical indications. Registered trademarks that were subject to successful cancellation, invalidation, opposition or rectification proceedings. Please note that, for a mark to be accepted for the sunrise registration, it must be specifically protected by a statute or treaty currently in force and that was effective on or before 26 June 2008. Court validated marks mean a mark that has been validated by a court of law or other judicial proceeding at the national level, such as unregistered (common law) marks and/or well-known marks. In the case when a mark has been validated by judicial proceedings, the judicial authority must have existed as a competent jurisdiction as of the date of the order or judgment. Any referenced authority must have the indicia of authenticity and must on its face confer the specified rights (i.e., the documentation evidencing the validation of the mark must be sufficient, without the need for the Trademark Clearinghouse to consult outside resources). Recording trademarks in the Trademark Clearinghouse is user-friendly and time-efficient: submitting your trademark information is available through an online platform managed according to the highest standards of back-end technology and customer care. We will notify you whenever a Sunrise period of a new generic top-level domain is scheduled. Should you choose not to secure the domain name holding your brand through Sunrise, you will by default obtain Trademark Claims Services. Whichever option best suits your business, you may be sure that you will be warned in time when action is crucial. 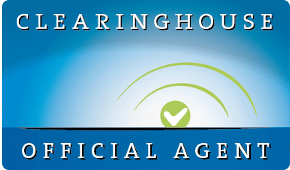 Scattered data and segmented trademark management are things of the past; by simply selecting managed filing with the Trademark Clearinghouse, you can keep track of all of your trademark information in one place. Trademark portfolio management is easier and more efficient than ever before. There are no hidden costs related to the managed trademark submission service. 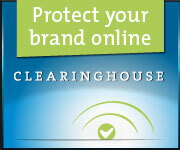 For one year or multiple years, you can enjoy the Trademark Clearinghouse services with a peace of mind.